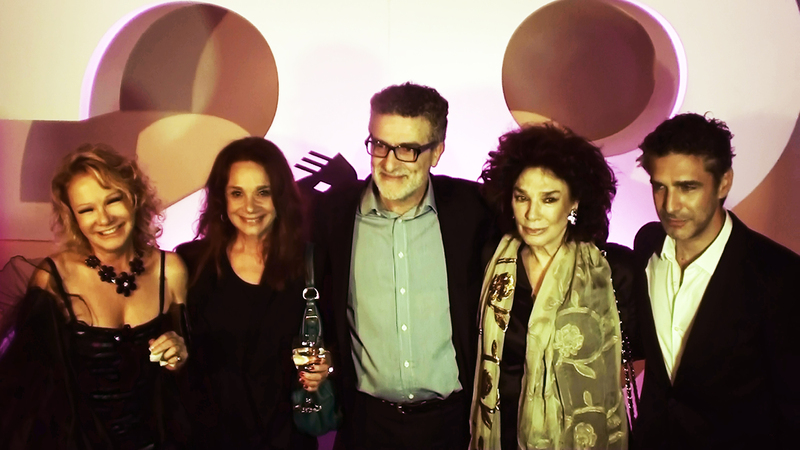 Left to right: Actresses Soledad Silveyra and Ana María Picchio, director Fernando Spiner, actress Graciela Borges and actor Leonardo Sbaraglia. There is exactly one grade-A international film festival in all of Latin America, and that is the Mar del Plata International Film Festival. The festival goes as far back as 1954 and is a regular source of pride to Argentinians as the most ancient and prestigious of its kind. The 28th Film Festival commenced this Saturday 16th, and will be showcasing over 400 movies (out of 2500 submissions) in the course of 8 intense days. The festival owes much of its universal appeal to its glamorous inception in the ‘50s, which called forth the likes of Erroll Flynn and Mary Pickford, and has since enjoyed a steady stream of Hollywood presence. Another defining trait is the rich and diverse selection of films, ranging anywhere from works in progress to socially compromised documentaries to Johnnie To kung fu flicks to recently restored classics to low budget zombie movies to the entire oeuvre of one choice director. And then some. 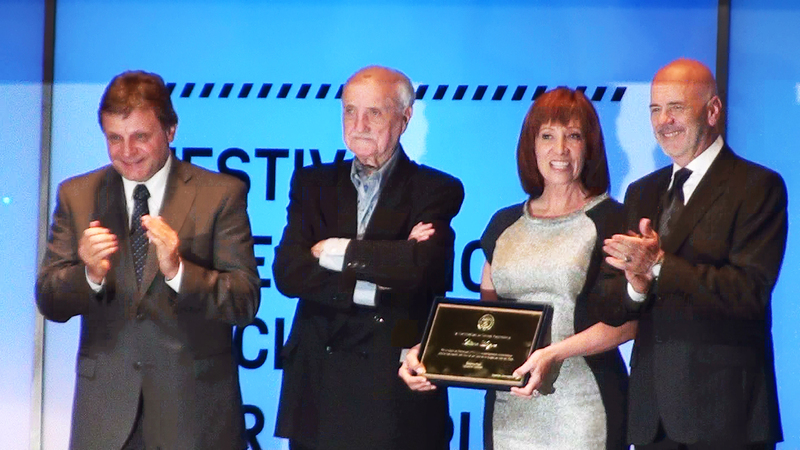 Left to right: Mayor Pulti, festival president José Martínez Suárez, INCAA president Liliana Mazure & Cultural Institute president Jorge Telerman. Movies regularly compete in three categories (International, Latin American and National) while many others are categorized in sections such as “Zero Hour” (for midnight screenings), “Open Veins” (horror), “Sense of Humor” (comedy), “Altered States” (experimental), “VHS” (cult classics), etc. Some of this year’s treats include a collection of 35mm Roberto Rossellini classics, three Alfred Hitchcock silent films with live music playing, an entire slew of John Landis flicks presented by the filmmaker himself, a tribute to French comedian Pierre Étaix (also present) and more. 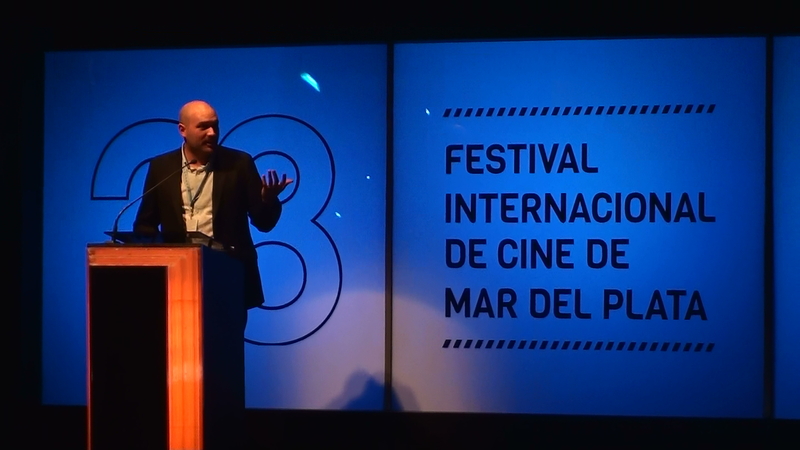 Chilean director Moisés Sepulveda presents Illiterate, the festival opening movie. Landis and his wife, costume designer Deborah Nadoolman Landis, will each be heading their own master classes throughout the course of the week, along with Ricardo Darín, Argentina’s most famous thespian, Argentinian writer Guillermo Martínez (author of The Oxford Murders) and John Boorman, who has since declined his presence in favor of a videoconference due to poor health. Master classes and such events are a great source for meeting producers and negotiating movie projects in all sorts of development stages. The festival opened to favorable acclaim. The opening movie for the initiation ceremony was Chilean Illiterate (Las analfabetas), which is competing against 13 other films on the International category (Latin American and National categories feature 14 and 13 movies, respectively). The winners in each category will be announced at the closing ceremony on Saturday 23rd, leaving Sunday 24th to project all of the winning movies. Looks like an interesting festival to attend to. I wish I could be there! Sounds like fun!